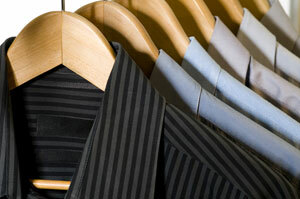 Do you need to restore order to your Kansas City, MO, home with custom closet organizers? Turn to the professionals at 31-W Insulation for closet systems that perfectly solve your storage dilemmas and make it easy to get – and keep – your home tidy. We’ve been providing home improvement services for more than 40 years, making us one of the area’s most seasoned contractors. Experience for yourself the top-notch customer service that so many other homeowners have already received, and trust 31-W Insulation with the installation of your new closet organizers. No matter the material or finish you ultimately choose, you can rest assured that your closet systems will stand up to daily wear and tear. If you’d like more information about the closet organizers we install in Kansas City, Missouri, contact us today and schedule a complimentary consultation. Be sure to ask how we can fulfill your other home remodeling needs, too.